ABB offers the best ​bowstrings​ and ​cables​ you can install on your Carbon RX 3 Turbo #2 2019 by Hoyt. Your Carbon RX 3 Turbo #2 2019 will shoot better than it ever has with an America’s Best Custom Bowstring. Having zero stretch, zero peep rotation, and no serving separation are just a few of the benefits that ABB​ ​bowstring technologies​ provide. We also include ​Speed Nocks (if needed)​ at factory determined locations, ​Ultra End Loops​, and ​Power Grip Center Serving​. These help with better cam fit, better durability, and better nock fit. 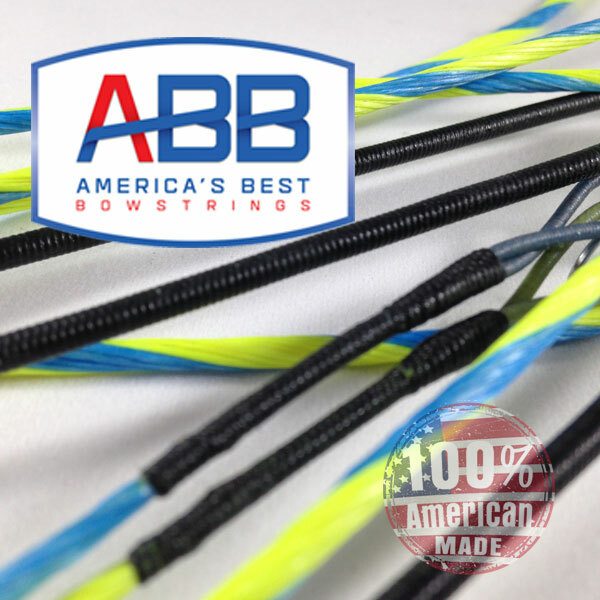 Our revolutionary string building processes utilize the best BCY fibers, and allow us to deliver bowstrings that are unmatched in quality, durability, and performance. As we say "Peace of Mind is Priceless", just install your strings and enjoy shooting your bow! Build your custom string and cables using our custom string builder allowing you to easily order your bowstring. Select your string and serving colors and hit the order button. It is that easy!